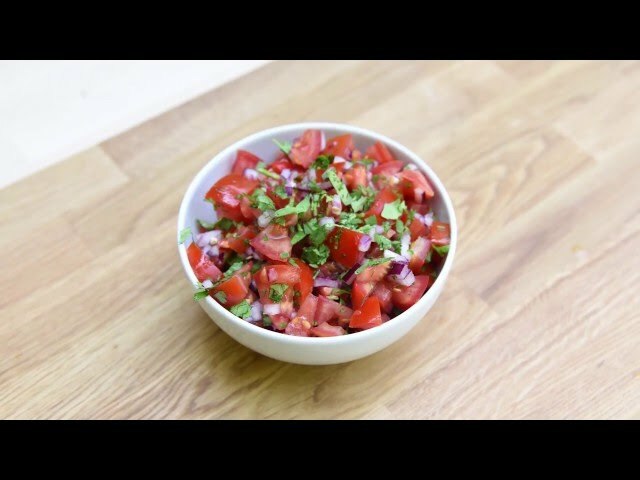 Simple Tomato SalsaAdd a dash of colour to your creations with this simple summer salsa! Well, let’s face it – what barbecue would be complete without a nice big bowl of homemade salsa? This simple tomato salsa is guaranteed to go with all your favourite barbecue recipes, adding a touch of delicious freshness to everything you serve up. Bright, vibrant and simple to knock-up in seconds, use this salsa as the basis for as many creative sauces, sides and other BBQ ideas you can think of! Place all of the above ingredients in a mixing bowl in the order stated. Give the whole thing a good mix, taste and continue seasoning if necessary until perfect. Fantastic with any BBQ recipes of your choosing, or even just a nice hot plate of cheesy nachos!